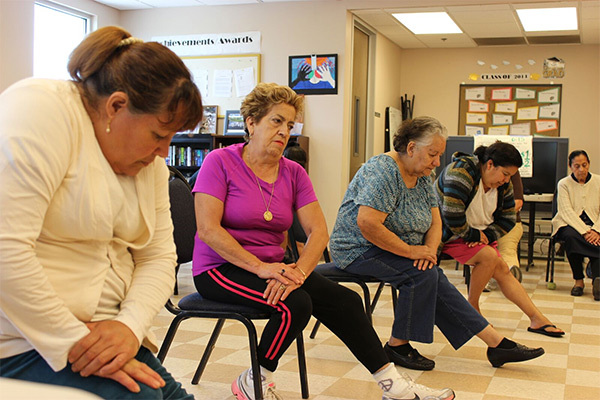 Maria attended two, six-week, evidence-based programs, Tomando Control de su Salud, the Spanish language Healthier Living Program for people with chronic health conditions, and the Arthritis Foundation Exercise Program. “These programs have helped me take action for myself, and not be co-dependent. The information has given me options and ideas on how to manage my health, make decisions and have better communication with my doctors. It’s awakened my urge to learn more. Now I feel I can look ahead and find solutions to my problems through education and learning from others. They’ve also increased my self-esteem. My children are very proud of me.